Imagine a Rubik’s Cube displaying a dancing, ever-morphing array of cloud formations; with all the pieces of the cube in perpetual, percussive motion. Although, the images on display are truly incidental and ephemeral by design, they seem to reassert a deeper, formal logic – regardless of their individual combinations. Plus, they leave a lot of space for the theatre of imagination; they’re also stunning and the experience is a lot of fun. 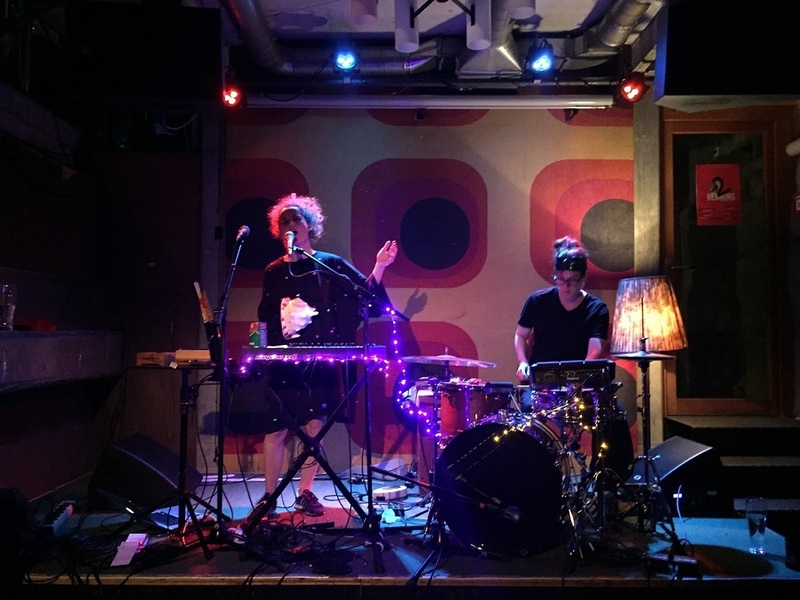 In a cubic nutshell, this is what it’s like to hear “Puzzled Bird”, the sophomore studio album from Swiss, nomadic Avant-Pop duo 2henning, for the very first time. The record is puzzling. In the best way possible. On the one hand it feels accessible and familiar, but with each successive play it discloses a deeper, more perplexing maze of idiosyncrasies – all the while its strong melodic core sinks into your bones like solid steel. Once you get past Valeria Zangger’s visceral, groove-driven drumming and Rahel Kraft’s soothing and extremely affecting vocals, and peel away the vicious, biting synths, a universe of minuscule sound objects starts to appear in the outer orbits of the stereo spectrum. Part noise, part percussion and part extrapolated sound design – there are bits here which were played on a kalimba, a sankyo, a cow’s horn, flutes, some broken toys, music boxes and even a singing, pink balloon with “Who is Jesus?” printed on it. The lyrics are equally as imaginative as the music, often rigged with trap doors and hidden fire escape routes that take you into far-out spaces like, say a Harvard type library, which just happens to be set in the middle of a wild theme park. And that’s the point, these ladies love to walk a tight rope between ruthless entertainment and intellectual acrobatics. Despite the consistent, high emotional voltage present throughout the album, intent listeners will also spot references to writer Emily Dickinson (“Nachtkerze”), poet Bertolt Brecht (“Radio”) and Göri Klainguti (“Osoph”). This duo definitely mastered a unique ability to surprise the listener, to take logical, yet unexpected turns compositionally. This, as well as their unrelenting commitment to working with original, non-preset sound objects, are definitive qualities of the project. And there is nothing contrived about any of this, either. 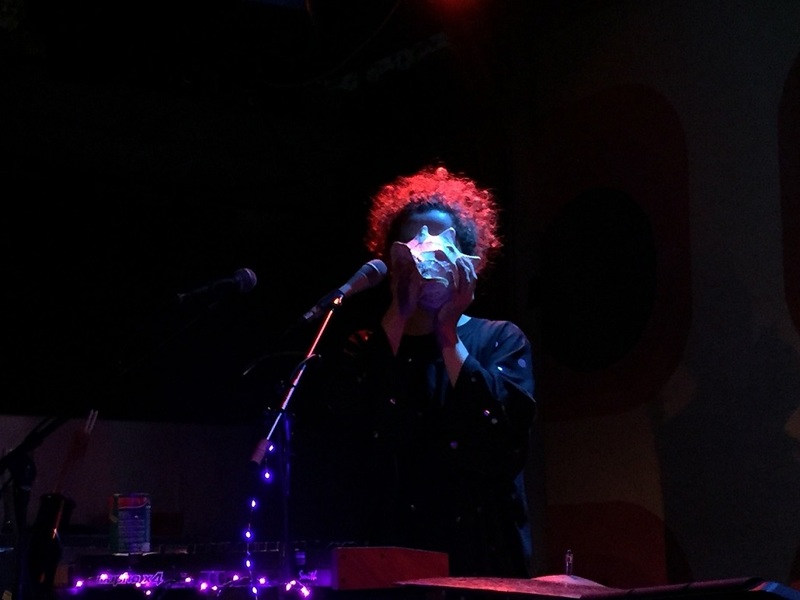 Every single one of the songs is a product of a free-form improv session or a live show. 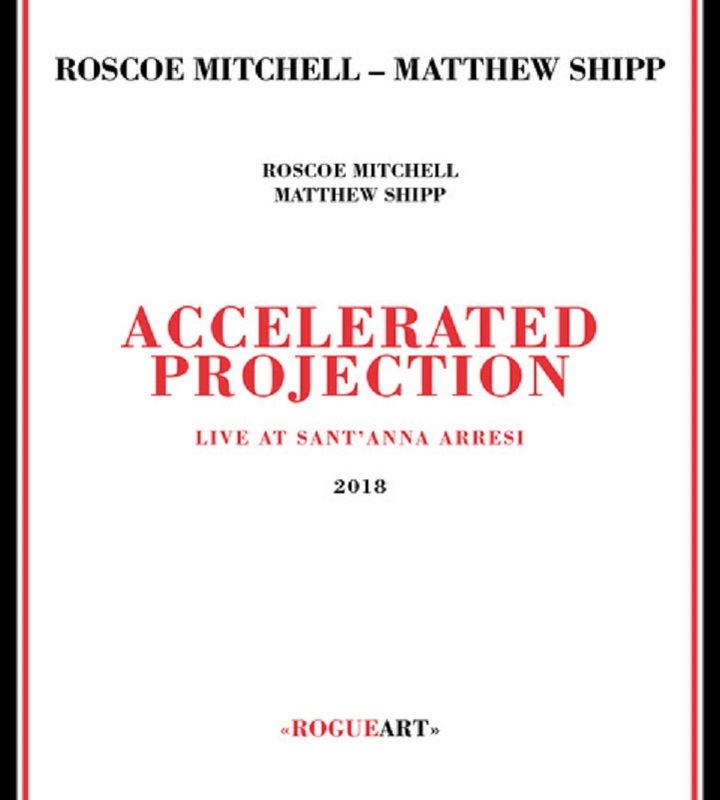 Each, is also a natural outcome of an intense dialogue between two highly opinionated, versatile multi-instrumentalists – who just happen to love to be surprised, challenged musically and have a lot of fun together exploring the "deep-end." “Puzzled Bird” was written over a period of 3 years, while the recording process is estimated to have taken roughly 10 months. Like the puzzled referred to in the title, the final version of the album was put together from recordings that took place at the Soundfarm studio, a remote chapel, a tight, but very cozy cupboard in a Tokyo apartment, a friend’s flat and, of course, at the rehearsal space. Additional production was handled by friend, producer and sound engineer, Patrik Zosso (not to be confused with Wes Anderson’s Captain Zissou). The core compositions feature an analog drum set rigged with triggers and extended with electronic pads (to set off samples) and a whole array of hardware synths. Torn between the ferocity of the equine and the civility of man, Chiron was considered to be the noblest of the centaurs. His front legs were not of a horse but of a man. He trotted about mythological worlds as a refined anomaly, forged with the best traits of both beasts. For keyboardist and songwriter BIGYUKI we are all on the verge of that transformation with our digital devices amplifying and polishing our intellects. His debut album Reaching For Chiron is a perfect synthesis of heart and technology, heavy beats and buoyant melodies. A move to New York helped to solidify BIGYUKI’s transformation. He worked regularly with hip-hop artists like Talib Kweli and Matisyahu and made numerous contributions to the long-awaited return from A Tribe Called Quest. All of these elements — Chopin, jazz, gospel, hip-hop — reside between the keys on BIGYUKI’s debut, trampling anyone who stands in the way. The album opens by tuning into an intergalactic transmission with the ethereal “Pom Pom,” a malleable swim through space dust that is engulfed in a storm of synths, Randy Runyon’s panic attack-inducing guitar and drummer Justin Tyson’s driving hi-hat. Despite its intensity, “‘Pom Pom was one of the simpler ones,” BIGYUKI explains. He gets an assist from Taylor McFerrin on two tracks. “Eclipse” features vocalist Chris Turner in a swoony mood, crooning poet J. Ivy’s impassioned lyrics over drummer Louis Cato’s thundering presence. Drummer Marcus Gilmore sprinkles the funk on “Missing Ones,” a chill-out crawl that blinks breathlessly from the atmosphere. “Coming up with the bass lines and the changes was the easy part. Harmonies and melodies are very simple but then coming up with a form? Figuring out how to make the four-minute piece interesting enough so that you don’t stop in the middle of it? That’s the hard part.” “Belong” and “In A Spiral” both showcase BIGYUKI’s more sensitive side. 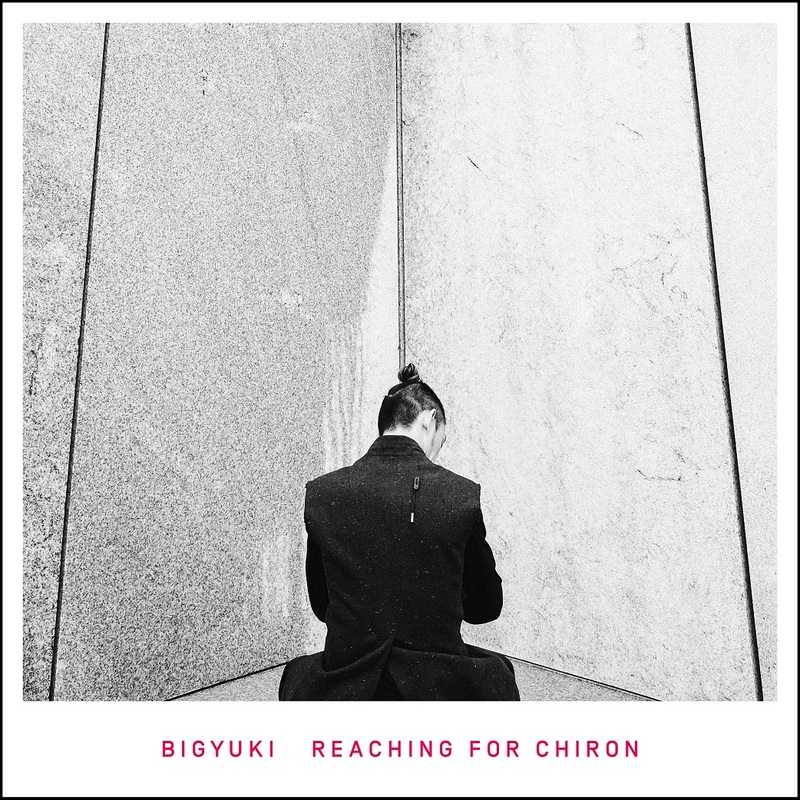 “Belong” features some of BIGYUKI’s most delicate work on the album. Amid the clipped rhythms programmed by Reuben Cainer, BIGYUKI channels an inner calm that becomes even more stripped down on “In A Spiral,” a virtual cabaret performance amidst the unrelenting futurism found throughout the album. “I wanted to come up with something that was straight fire. That was the idea. Let’s make something that hits people hard.” There isn’t any mystery to “Burnt N Turnt.” BIGYUKI is aiming straight for the club floor with help from producer Bae Bro. The two mix samples and synthesizers for a menacing spin. “Boom,” the duo’s second collaboration further along the record, is equally indebted to the heavy jam, vocal samples twisted into place by dense drum programming. BIGYUKI first worked with Bilal years ago. The soul singer is the main guest on “Soft Places” making the tune decidedly his own. “You know that it’s Bilal as soon as you hear his tone. He gives musicians such a freedom to stretch. He makes the music his playground.” With help from co-producer and sound designer Stu Brooks, BIGYUKI presents a post-apocalyptic love song that veers through time to create a soundscape that ears can easily tumble into. “Simple Like You” puts hip-hop in the center of BIGYUKI’s universe. Javier Starks brings a swagger to the album that is refreshing and unexpected. 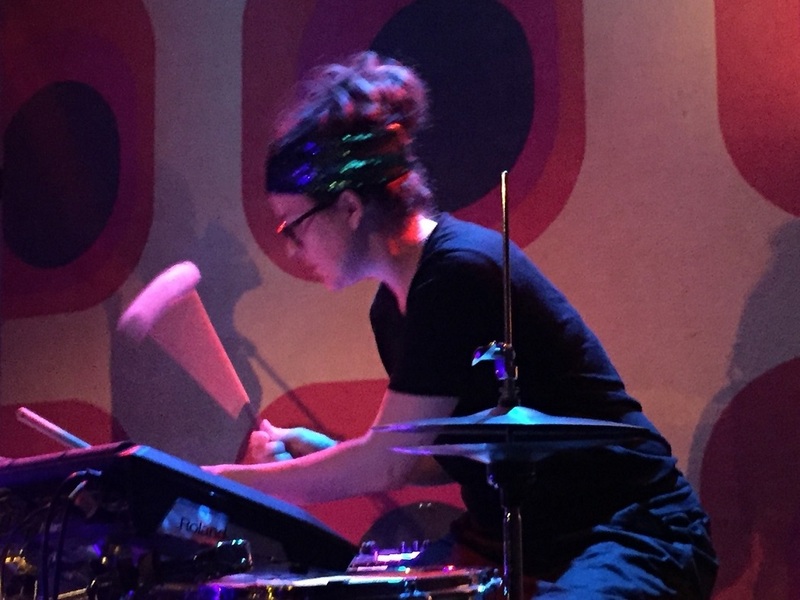 A staccato riff keeps everyone on their toes while Celia Hatton’s top melody on viola packs a hard-left turn with a symphonic break. The album closes with “2060 Chiron,” another floating collaboration with Cainer. An industrial pulse surrounds the futuristic song that is also incredibly indebted to the science fiction soundtracks of the 1980s. And as quickly as it arrives it goes, taking with it the future of BIGYUKI, the shape-shifting keyboardist, part man, part beast, all soul. Este fim de semana iniciamos uma parceria entre a Porta-Jazz, a Quinta do Caminho e a Câmara Municipal de Valença. 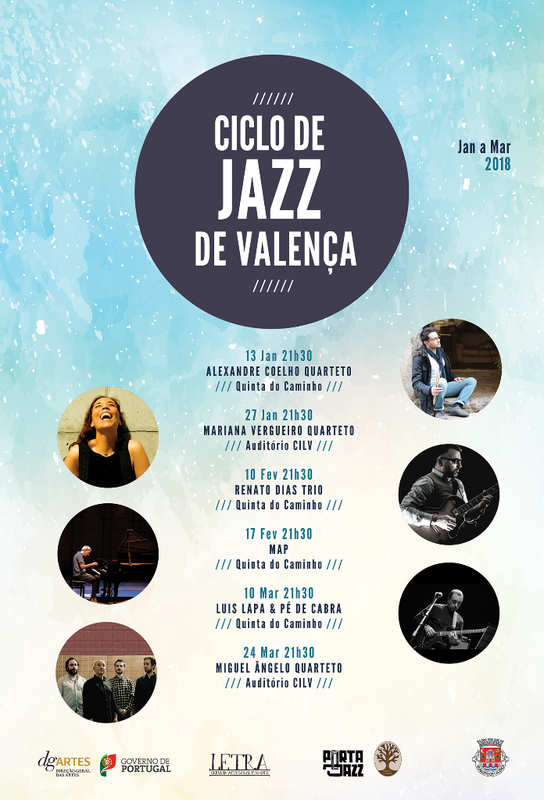 Os 6 concertos do Ciclo de Jazz de Valença realizar-se-ão entre a Quinta do Caminho e o Auditório CILV durante os meses de Janeiro, Fevereiro e Março, com ENTRADA LIVRE. 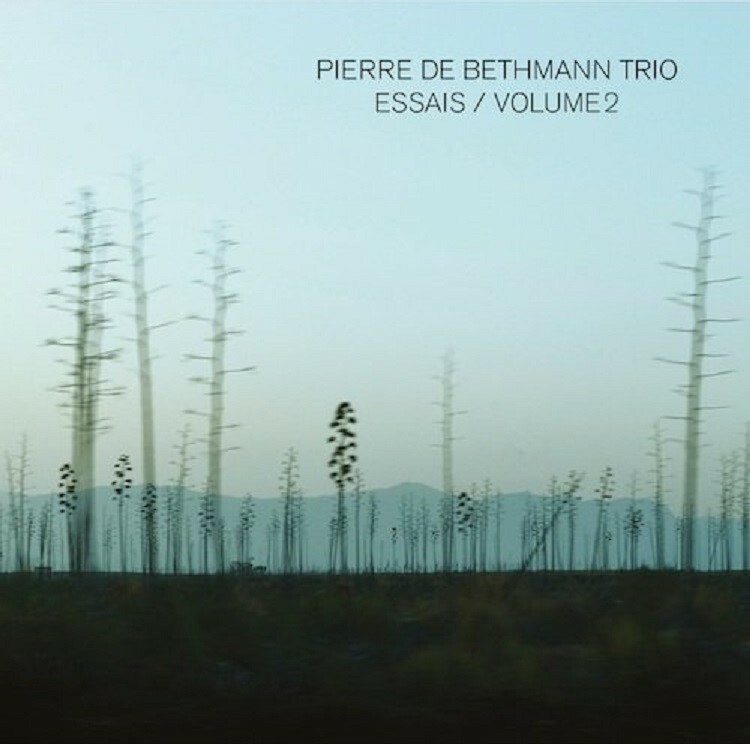 Fourth production of the ALEA label, second volume of Pierre de Bethmann’s ESSAIS, two years and nearly sixty concerts after the first volume was released in 2015. 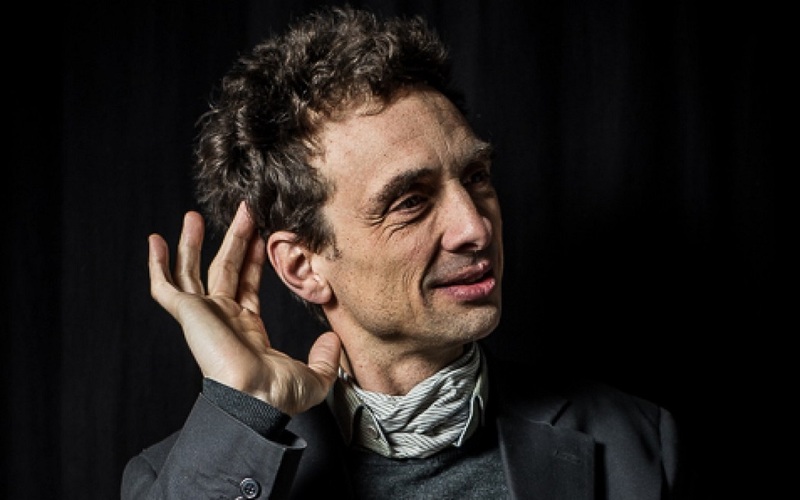 With Sylvain Romano on the double bass and Tony Rabeson on the drums, the trio pursues its journey, gleaning ideas from every new shared experience, continuing its exploration of a variety of musical traditions, subjecting each member’s choices to different arrangements, and above all to the spirit of the moment. The same spirit which led the three musicians back to the Recall Studio in June 2017 to record their new album, in a setup drawing each time closer to live conditions, in an exceptional setting capable of suspending time and capturing the raw energy of musicians only too eager to play. All of this results in a selection of ten pieces dating from 1707 to 1985 – written by different composers from the two sides of the Atlantic Ocean – which some will regard as standards. A new album also conceived as a big thank you to those who programmed, hosted, and supported the trio on its different journeys over the last two years, and to those who will inspire the journeys to come. P2B Trio / Essais - Volume 2 / Teaser from ALEA musique on Vimeo. 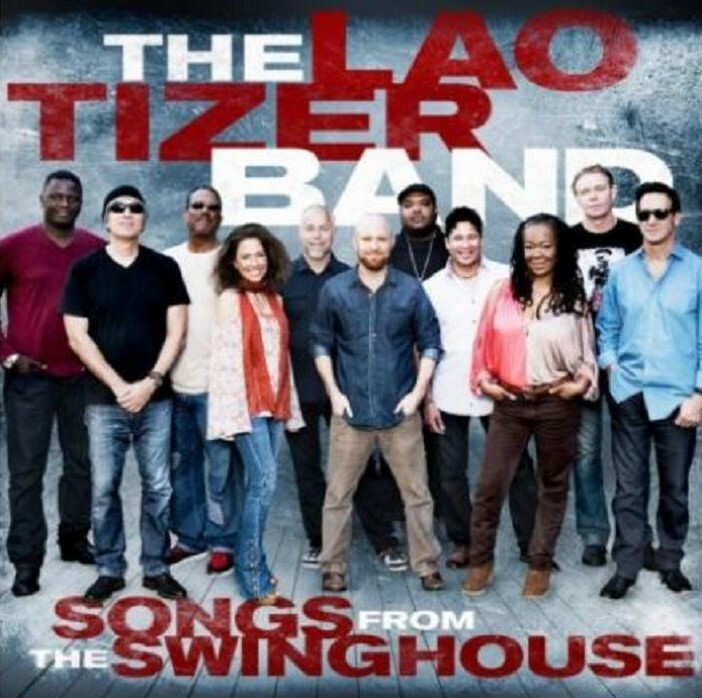 With more than five years since their last release, The Lao Tizer Band has taken the time to grow in every aspect. An updated larger band is exploring some new methods on their upcoming CD/DVD combo, Songs From The Swinghouse: recorded live in just three days at Conway Studios in Hollywood, the band explores three cover tunes with vocalist, a first for the group, alongside original instrumental tracks, bringing them to new heights of excellence and exuberance. Featuring a thoughtful and at times surprising choice of tracks, while adding to an already stellar lineup of players with the addition of a seasoned vocalist, this is an album that has set a new path for the band and its dedicated fans. Songs From The Swinghouse features eight blistering original instrumentals and three iconic classic rock songs with reimagined arrangements. “We’ve never done anything with a vocalist and we’ve never done any cover songs, so this is the first time that I decided to delve into that realm, to basically expand the scope of our music,” says Tizer. Critically acclaimed music-film director, Andy LaViolette (Snarky Puppy, Bokante, David Crosby, etc), documented the entire session in a simultaneous, 8-camera HD video shoot for the included DVD. From the 2007 album Diversify, which showcased the multi-faceted richly textured musicality of an already celebrated career, to 2009’s Passages in which the keyboardist and composer focused on a minimalist expression of his musical journey in a virtually solo piano recording with the barest of accompaniment, and then back to a pulsating full band on the 2012 release Downbeat, this ensemble of world-renowned musicians has taken Tizer’s vision to a new level on the latest album. The jazz and world-fusion group now adds rock to its repertoire with a sizzling new collection of eleven songs. Hailing from Boulder, CO, with a career that now spans nine albums over nearly a quarter of a century — he was a teenage prodigy — Tizer is the son of hippies with a Russian-Jewish background, and the mix of that ethnic family heritage, parental new age influence and growing up with the sights and sounds of ’80s and ’90s pop culture (alongside the music of the ’60s and ’70s he heard from his parents) have brought him to a place in his artistic life where he was ready to embrace a wider range of influences and stretch himself and his players to pull off such an ambitious project. If the choice of Led Zeppelin’s “Ramble On,” U2’s “Pride (In The Name Of Love),” and Cat Stevens’ “Sad Lisa” seem astonishing, Tizer’s arrangements render them almost entirely original. 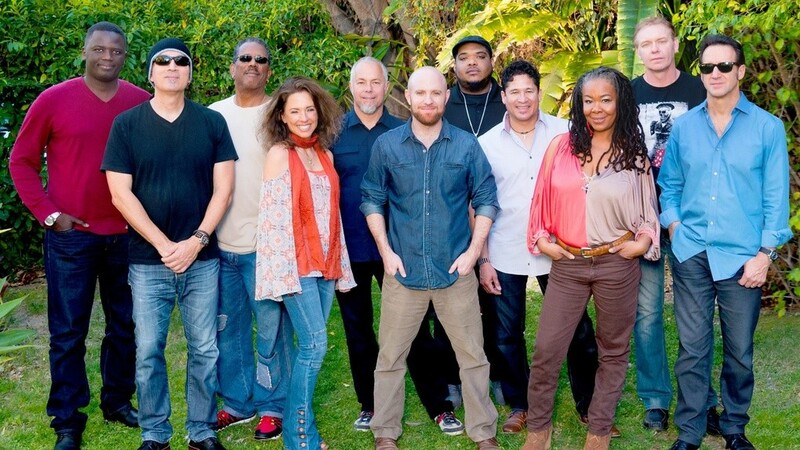 They are taken to the transcendent through the warm and soulful vocals of Tita Hutchison, who sang with the likes of Michael McDonald, Rick Rubin, Michael Jackson, and Foreigner, among others. Hutchison joins Tizer’s regular collaborators who are celebrated in their own right: Chieli Minucci, the three-time Emmy-winning and Grammy® Award-nominated guitarist and composer; Grammy® Award-winning saxophonist Eric Marienthal, who is a permanent member of the Chick Corea Elektric Band; longtime member and EWI/saxophonist/multi-instrumentalist Steve Nieves; and violinist Karen Briggs, who has graced the stage with Yanni, Diana Ross, Wu-Tang Clan, Chaka Khan and more. Tizer also credits the powerhouse rhythm section (bass players include Grammy® Award-nominee Ric Fierabracci and Cheikh NDoye, Grammy® Award-nominated drummer Gene Coye, and percussionist Munyungo Jackson) with underpinning the dynamic force and arrangements for the project. The group in fact stretches to 15 members at times with the addition of a string quartet, horn section and a marimba player. Just watching the video of “Metropolis” shows the vast ambitiousness of the undertaking, the concentration of so many musicians in the studio playing live together and feeding into work that was so much grander than the breathtaking individual performances, while the sultry and intimate duet — just piano and violin — on “Forever Searching” reminds the listener and viewer of the purity of Tizer’s jazz beginnings. 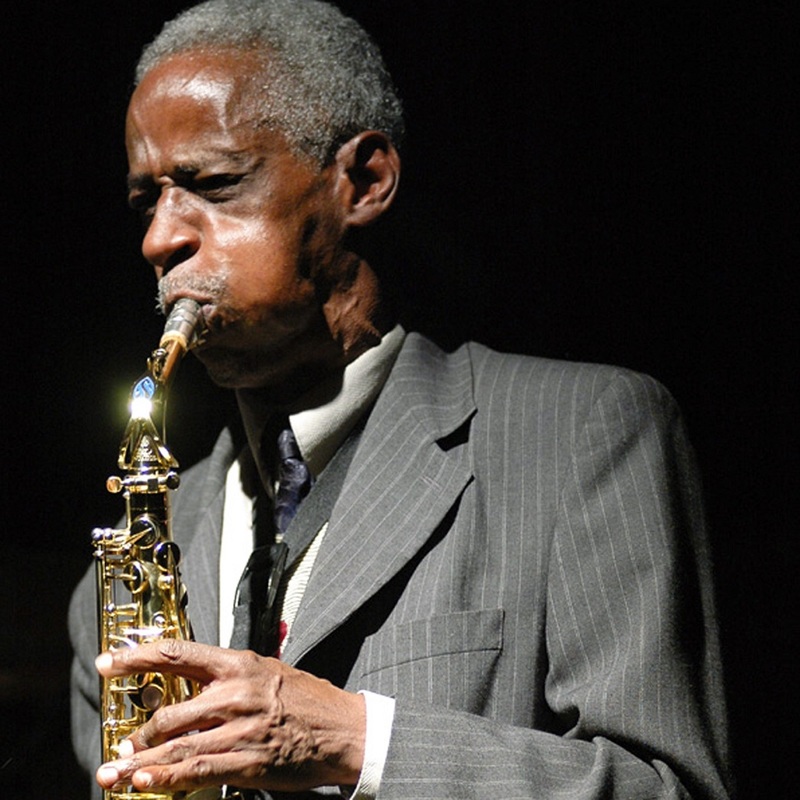 Roscoe Mitchell, member of AACM from its early stage and founding member of Art Ensemble of Chicago is a living legend, a national treasure, involved in whether it as a solo, a duet, an ensemble or a classical music situation. 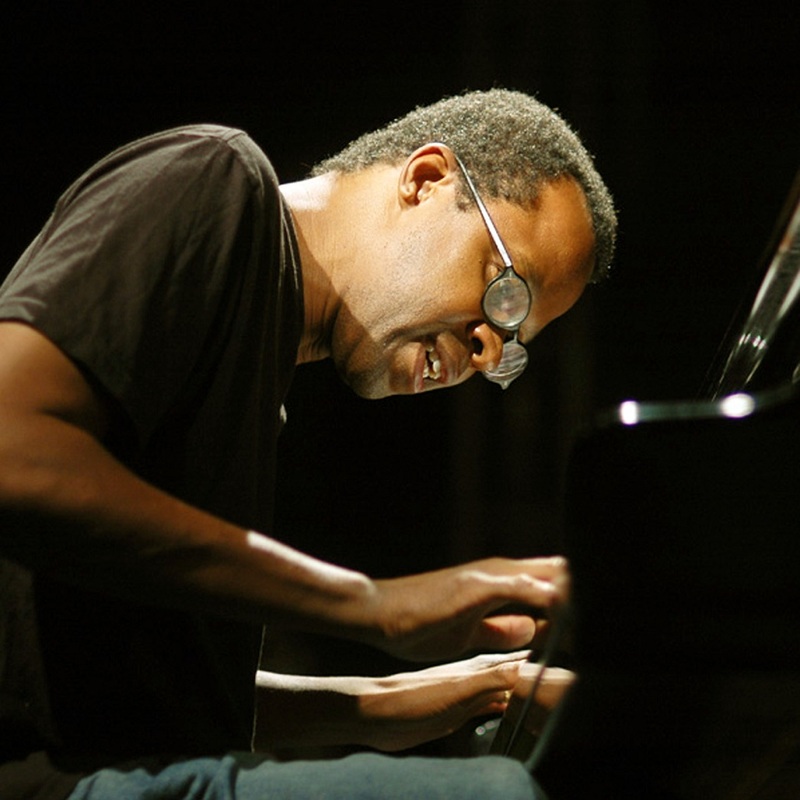 Matthew Shipp, definitely a legend in his own right as well, play in many configurations witnessing his impressively brilliant creative devolvement. The experience seeing these musicians play live is equivalent to seeing/hearing Bach, Beethoven and Chopin play live if such a thing were still possible. Here we are holding the gift of a recording of them playing together in duet. And what a gift it is! -Yuko Otomo, excerpt from the liner notes. With his focus on ‘the art of the trio’ since moving on from the Phil Woods Quintet in the late ’80s – the last decade incorporating his innovative development of trio ‘Rubato‘ playing into 7 albums on Origin Records – pianist Hal Galper made a major, personal musical statement in adding his old friend and saxophone titan Jerry Bergonzi to a late 2016 tour and live recording. 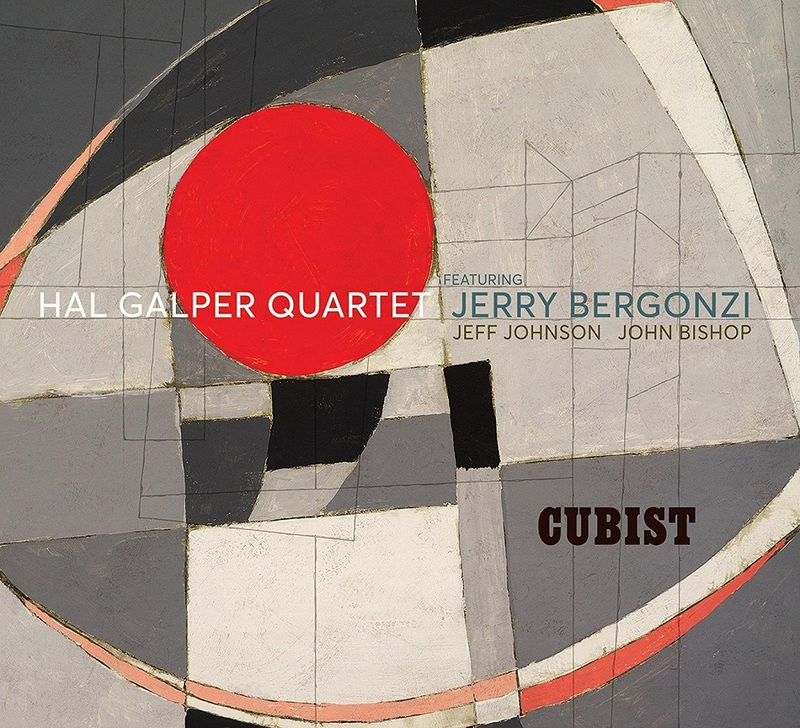 Diving into the ‘Rubato’ deep end with the trio, Bergonzi provided another dimension and added spark, opening unforeseen avenues to the trio and quickly becoming an integral part of Galper’s musical concepts going into the future. 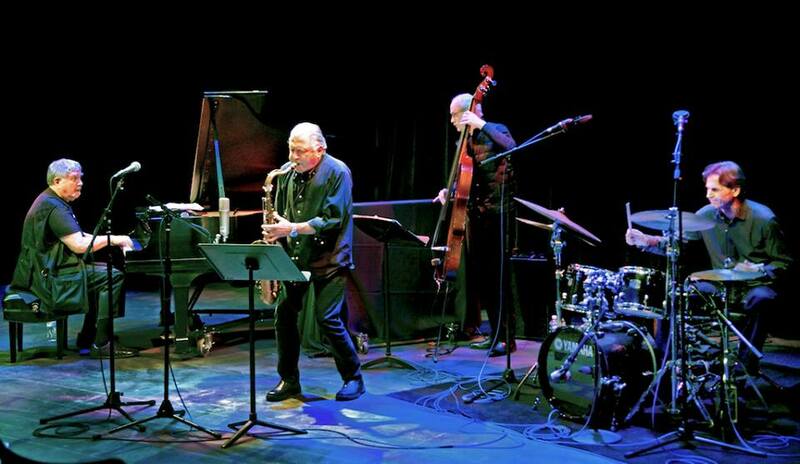 Thus, the Hal Galper Quartet, featuring Jerry Bergonzi! 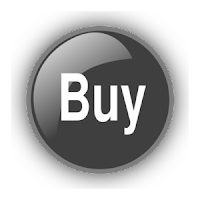 Recorded at Cleveland’s Tri-C, Tommy LiPuma Center for Creative Arts, the quartet recorded live in an open session format with a small but involved audience. Bassist Jeff Johnson contributed much of the music for the tour and four of the tracks for the recording. His tune title ‘Cubist,’ provided the implied visual of a subject with many parts out of place or overly-dramatized, offering new perspectives on a familiar image, and a fine metaphor for the music. 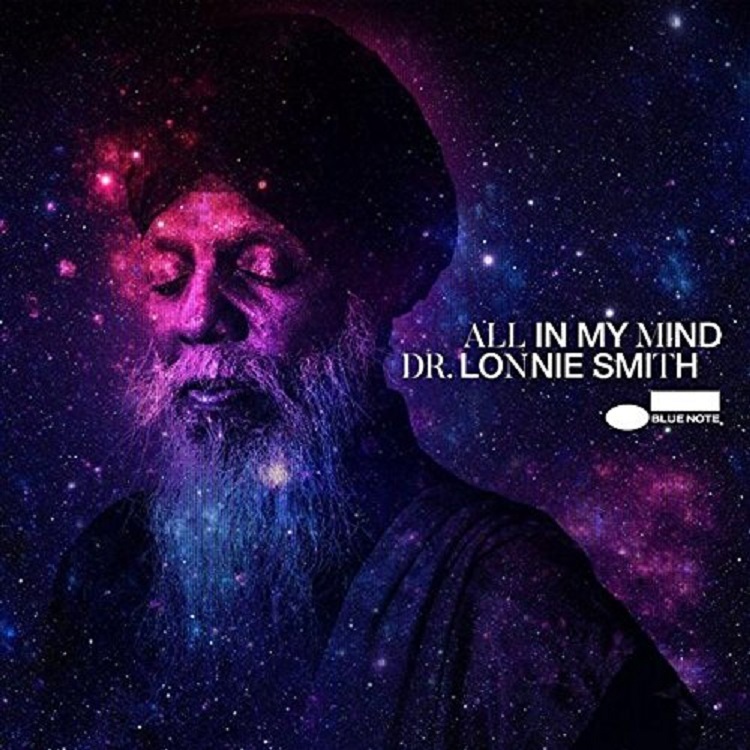 The marvelous Dr. Lonnie Smith stands tall as the foremost maestro of the Hammond B-3 organ and at the age of 75 still reigns as a master of innovation and experimentation. 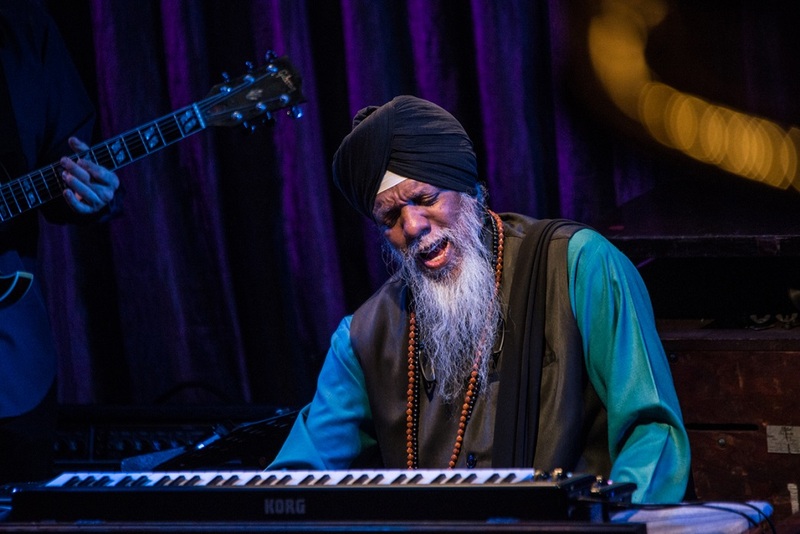 The 2017 NEA Jazz Master may say that all he does is simply old school, but Smith paints new hues across the canvas of tradition with aplomb, as evidenced on his spirited new live album All in My Mind. 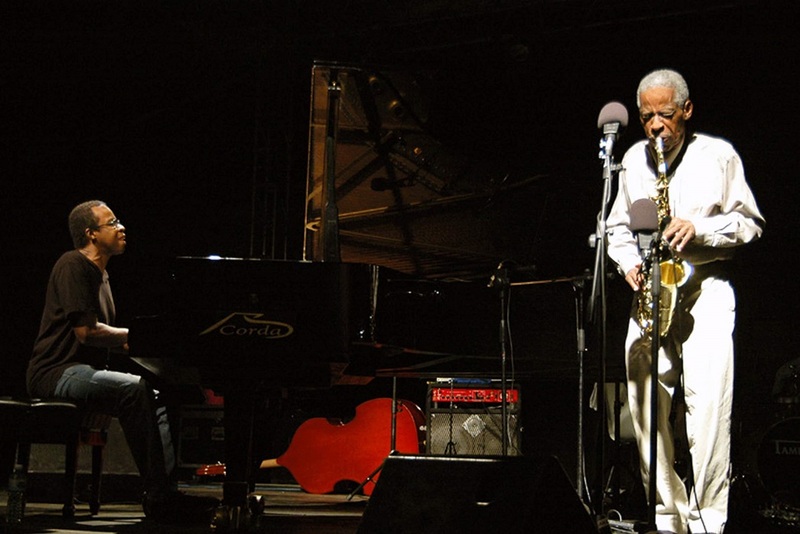 The album is his second for Blue Note since his 2016 return to the legendary label where he made a name for himself in the late-1960s, first as a sideman with saxophonist Lou Donaldson, and soon after as a leader with his own soul-jazz classics. A native of the Buffalo area in Western New York who presently lives in the warm climes of Fort Lauderdale, Florida, Smith decided to roll tapes during his week-long 75th birthday celebration at one of his favorite clubs, the Jazz Standard in New York City, with his longtime trio of guitarist Jonathan Kreisberg and drummer Johnathan Blake. 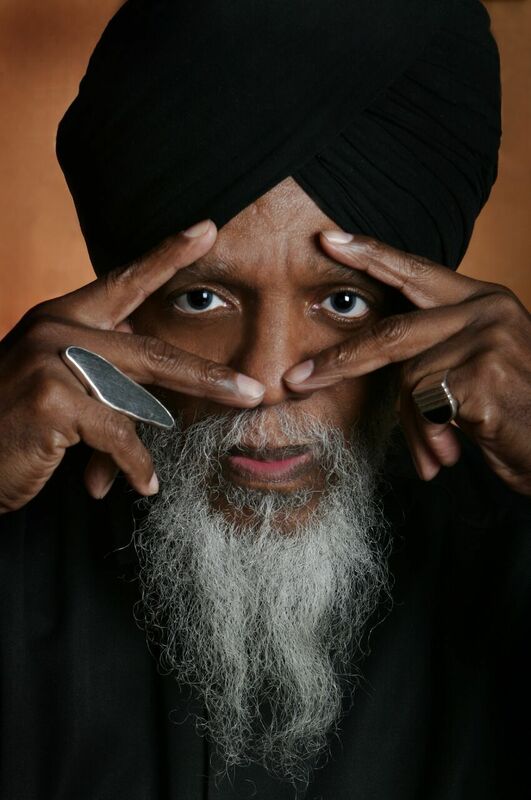 Smith also offers up a new version of one of his oldest songs, “All in My Mind,” which he had recorded twice before on his Afrodesia (1975) and Funk Reaction (1977) albums. “It’s the right time to be singing this again,” he says, referring to the ruminative lyrics that long for a better world. Here Smith delivers the vocal in a duet with singer Alicia Olatuja, whose amazing vocal range and spirit lift the song to new heights. Closing out the session is the ebullient swing through Freddie Hubbard’s “Up Jumped Spring,” a tune he wrote to celebrate the season when he was in Art Blakey’s Jazz Messengers and later recorded on his own 1967 Backlash album. “There’s a hopeful note to this,” Smith says.